Drug testing at workplaces can be a major cause of controversy. Government institutions are not as lackadaisical as the private employers are when it comes to subjecting their staff to drug testing. As an employer, you will need to consider various factors before deciding to test your employees for drugs. These factors include statutory regulations, insurance, contract requirements and incidence of any perceived drug use problems among the workers. Before you test employees for drugs, you will need to draft a drug and alcohol testing policy which the employees to be tested will be required to agree to and sign. A good way to get employees to sign the policy would be by making it a requirement for one to be employed. The policy should state clearly whatever will be considered a policy violation. For instance, use of which drugs or which amounts of alcohol will be considered a policy violation. Policy should state the measures that are likely to be taken against those found to violate the policy. Policy should also indicate if the employer can allow rehabilitation. Employees who won’t sign the policy? For those employees who are unwilling to sign the policy, terminating their employment would be legal. However, as the employer, you will have to warn those employees about the consequences of their decisions. Preferably by a written document which will need to be witnessed by others more than likely. The other way to get around this is by having employees sign the drug and alcohol testing policy as part of the agenda of a staff meeting. Obviously make the staff meeting mandatory to attend. It is legal for you, as the employer, to have some of your employees tested for drugs and alcohol while you excuse others. However, for you to do this, you will need to have specified the various job categories in your company for whom drug testing will be mandatory. It is a statutory regulation to have some employees, for instance truck drivers, tested for drug use on a regular basis. It is not necessary to have employees of some job categories like office clerks tested for drugs. Unless of course if the employee shows signs of drug abuse or other drug related issues. When will drug testing be carried out? A good policy should specify whether the employer will carry out drug testing randomly or not. In random testing, a number of employees would be sent for testing in a certain period of time. The maximum number of tests an employee can be subjected to should be specified as well. Random testing is also done to employees whom the employer has reason to suspect drug use. Drug testing is an important aspect to ensure utmost security and productivity of employees. 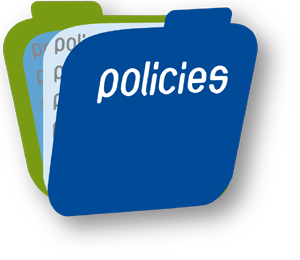 Having a good policy will go a long way ensuring the success of the company and it’s employees. Are you an employer that needs our drug testing panels to use to test your employees? Are you an employee that needs a detoxification solution for upcoming drug testing? How to pass a drug test and some good advice….